From the food trucks to the forests to the creative, quirky vibes, Portland is filled with the ingredients that make up my ideal city. 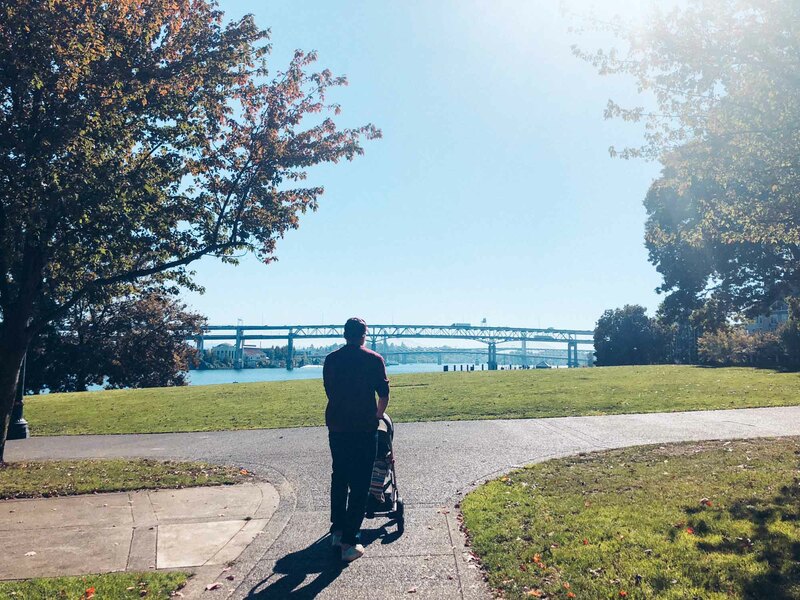 We spent a week there, soaking it all in slowly, and this post is a round-up of our Portland itinerary highlights, which would work well for a weekend or three days in Portland – or more, depending on your pace. What to do in Portland, Oregon: What’s the city like? 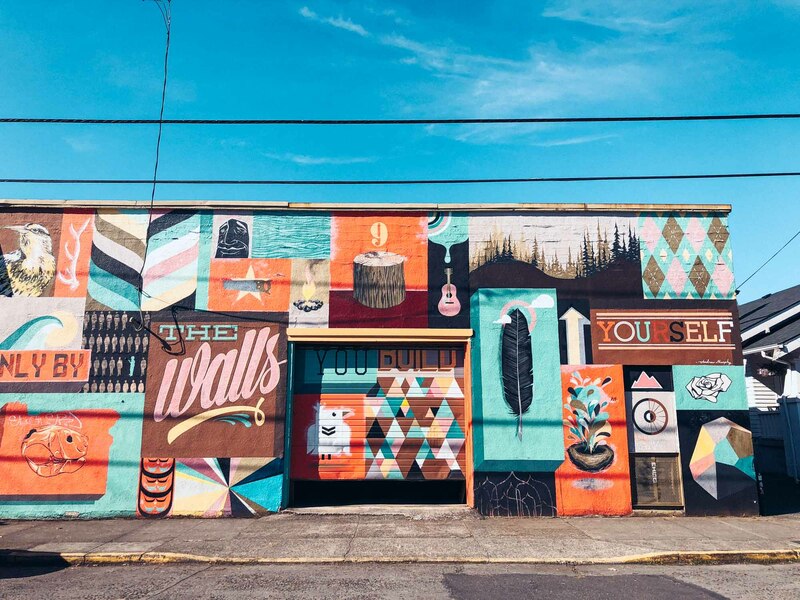 If you’ve ever watched Portlandia, you’ll know the city is famed for its off-kilter, “Keep Portland Weird” vibe that has made the city a magnet for hipsters and eccentrics, and borne an impressive scene of microbreweries, coffee shops, zine culture, and quirky suburbs, filled with independent shops. There are plenty of things to do in Portland, especially if you’re into food and all things hipster. Food trucks dot the city and have been the birthplace of some of the city’s best food, cementing its reputation as one of the Pacific Northwest’s best foodie destinations. And the whole city is overlooked by the magnificent Mount Tabor, an ever-present reminder of all the natural wonders that surround the city. People have been telling us for years that we’d love it, and it happily lived up to the hype – I even have the ‘We belong in Portland’ mug to prove it! 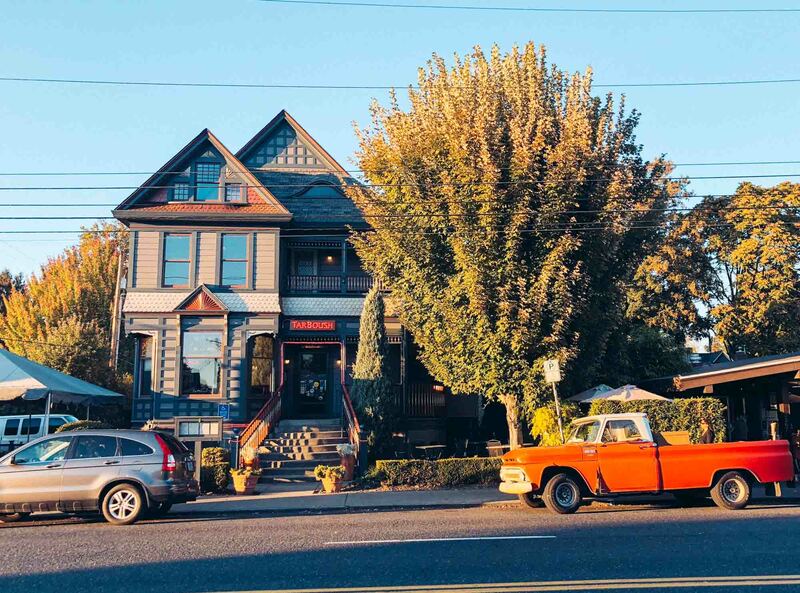 Go there to eat a smorgasbord of amazing cuisine, explore Oregon’s beautiful nature, and simply soak in the vibes of what is one of the USA’s most individual, open-minded cities. 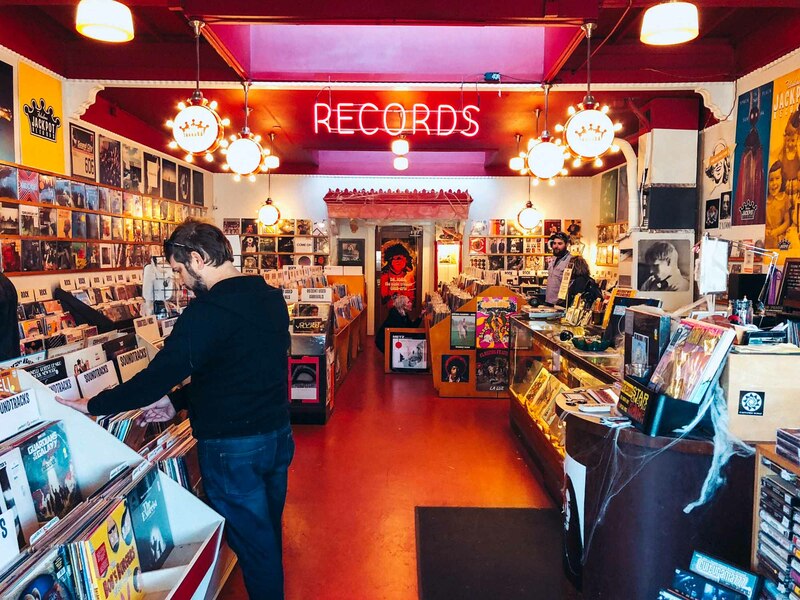 Here’s the best of what to do in Portland, Oregon. 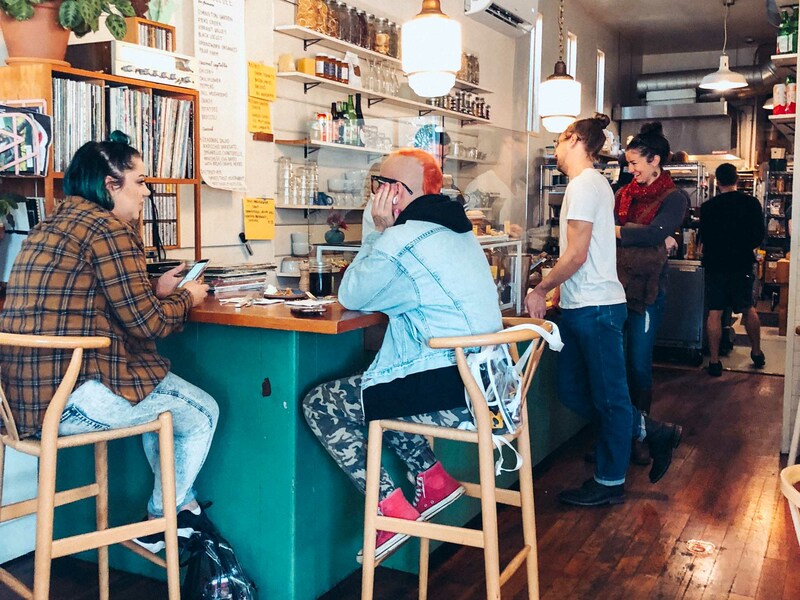 I’ve laid out lots of different options below for places to eat and drink, and things to do in Portland, so you can pick and choose your own Portland itinerary based on your priorities. But if you’d prefer an easier option, here’s a suggested three-day plan. You could choose your favourite two days if spending a weekend in Portland. 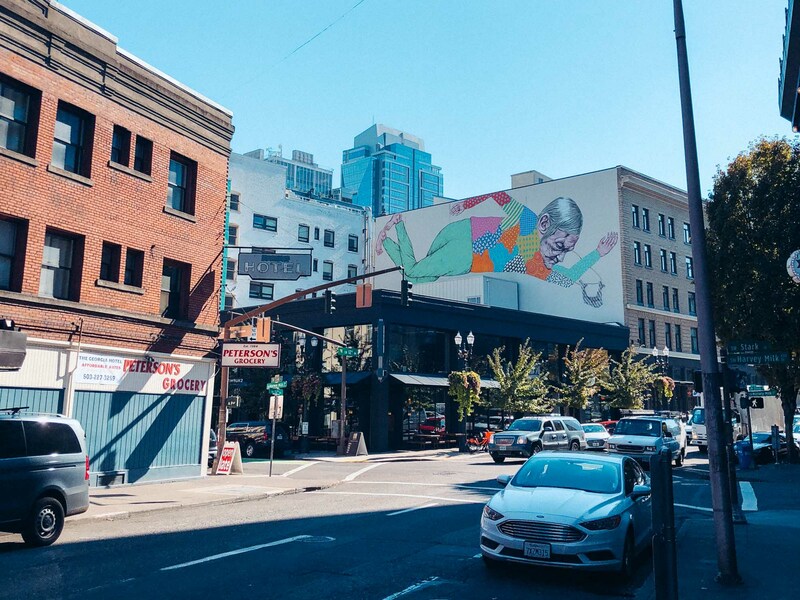 Spend the day exploring the downtown area, including the stylish Pearl District where you’ll find chic shops, restaurants and galleries. 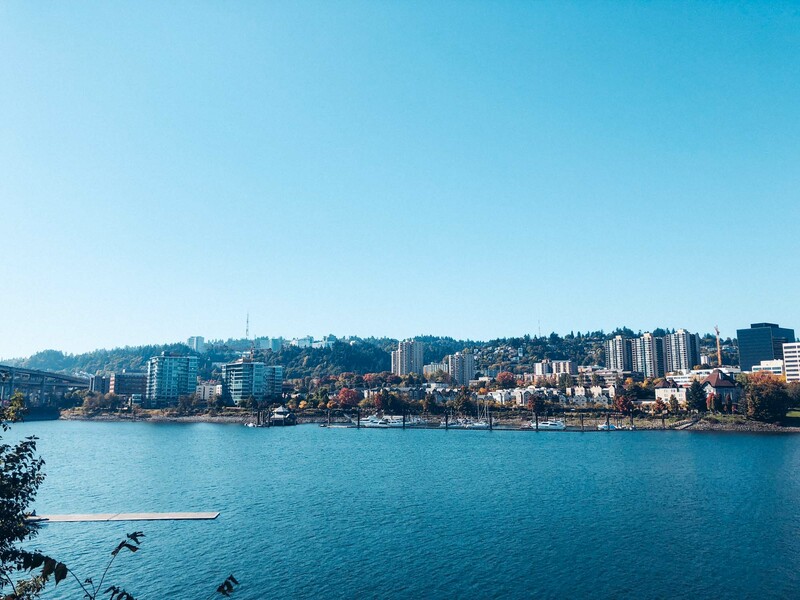 Also take a trip up to Washington Park, including the Portland Japanese Garden and the neighbouring Rose Test Garden, both of which have amazing views across the city. 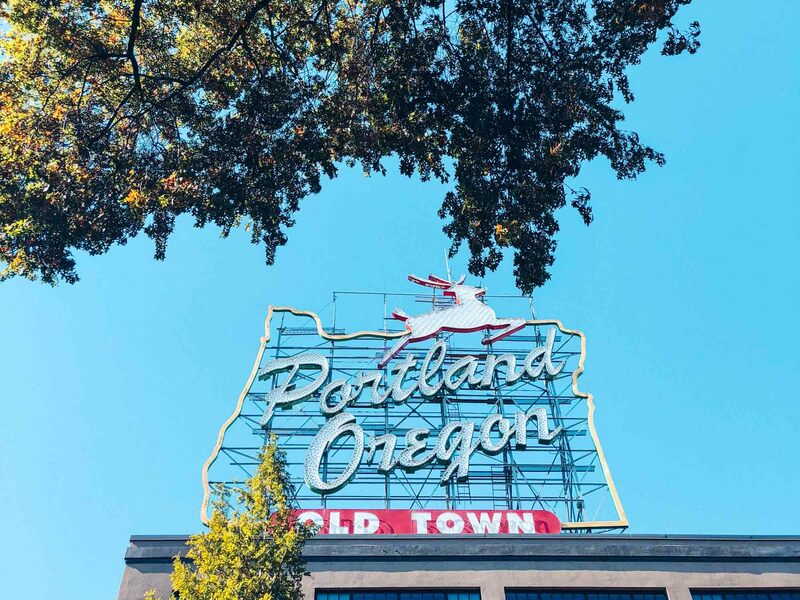 While in town, take photos at the iconic Portland stag sign and Keep Portland Weird mural, and be sure to try one of the famous Voodoo doughnuts. 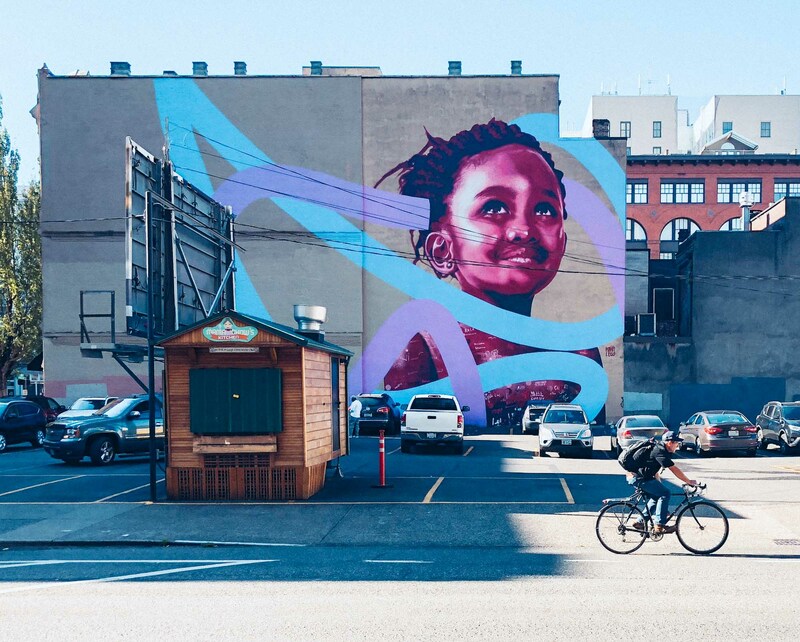 For your second day, delve into some of Portland’s local neighbourhoods where you’ll get a better sense of the people that make Portland what it is. 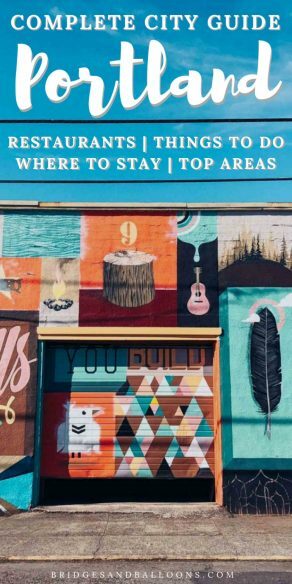 We recommend visiting the Alberta Arts District and Hawthorne/Division, both of which are filled with independent cafes, bars, restaurants and shops. One of the things that makes Portland so special is the nature that surrounds it. Spend your final day taking a day trip to one of the nearby natural beauty spots. You could head to the Colombia River Gorge to see the Multnomah Falls; drive out to Cannon Beach; or for something more local, go for a hike in Mount Tabor Park. Portland is well known for TriMet, its excellent public transport system, which includes a max light rail, buses and streetcars. The Trimet travel planner is a handy way to plan your route, and the app allows you to buy digital tickets without the need for cash. A $2.50 ticket allows you to use any form of transportation within two hours, and there are also daily and weekly passes available. Another good way to get around is by bike as the city makes it easy with 315 miles of bikeways and the USA’s highest percentage of bike commuters. It even has the title Bike City, USA. To get from the airport to the centre is an easy 40-minute journey on the max light railway. However, despite these excellent options, we ended up hiring a car, purely because we were travelling with so much baby stuff and we wanted the easiest option. We stayed in two different places in the city, so knew we’d need to travel between them, and hiring a car worked out cheaper than using taxis. If we had only been staying in one hotel then we wouldn’t have hired a car and instead ordered a taxi to and from the airport. We mostly walked everywhere, but when we did use the car, for example to get to the Japanese Garden, we found the city an easy place to drive around. But do avoid rush hour. Parking downtown is cheap and easy at the SmartPark garages, starting around $1.50 an hour. We didn’t have to pay for parking outside our hotel or AirBnB. We were in Portland at the start of October and were greeted by crisp sunny days. However, this is somewhat of an anomaly as the city is most famed for its grey skies and rainclouds. For the best chance of clear skies, head there during the summer months, from June-August, when you’ll hopefully be treated to long, dry, sunny days. The Alberta Arts District was our favourite area of Portland. The quiet but vibrant main street (NE Alberta Street) is lined with interesting cafes, restaurants and shops and it has a peaceful community vibe. It’s an ideal place to get a taste of local Portland life. And if you’re there on the last Thursday of the month, don’t miss Last Thursday, a popular monthly street fair, celebrating grassroots arts, food and culture. If you want to stay in a local neighbourhood, one of the benefits of staying in Alberta over Hawthorne is that it’s not on a main thoroughfare, so has far less traffic and feels more peaceful. Both take around 30 minutes by bus to get into the downtown area (depending on where you start from). South East Hawthorne Boulevard is a busy Portland street lined with vintage shops, boutiques and cafés, and is one of the most popular counterculture areas of the city. 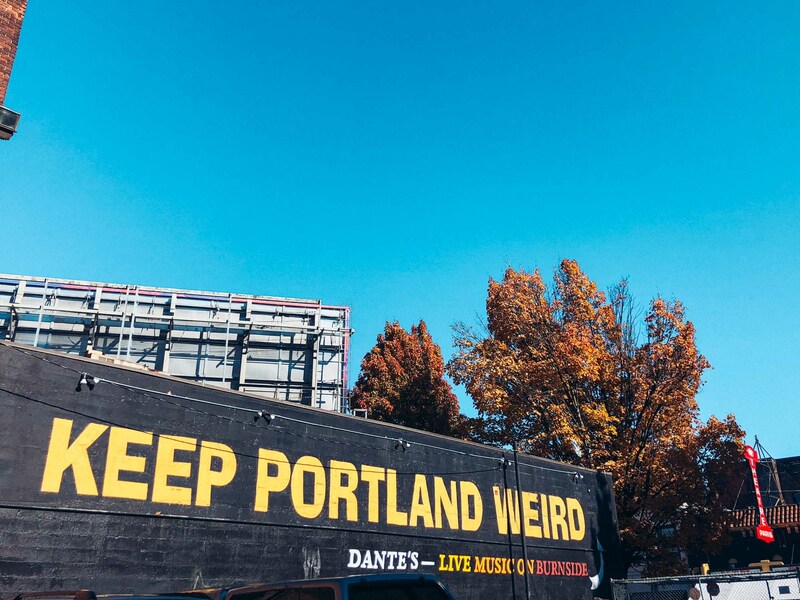 It’s an ideal place to people watch and experience the “weirdness” that Portland is known for. The boulevard itself is a busy main road, but there are pretty residential areas on either side of it. It runs parallel to South East Division Street, which has become one of the city’s best foodie neighbourhoods. While staying in Hawthorne, we walked to the downtown area in about an hour, but you can also easily hop on a bus. If you prefer to be in the centre rather than a suburb, Portland’s compact downtown area is a convenient place to stay with good transport links to everywhere else in the city. 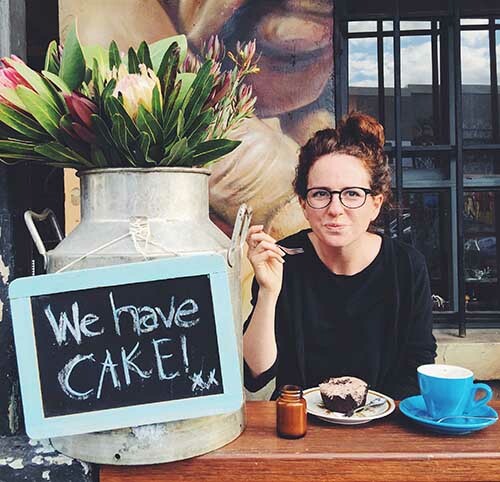 It’s where you’ll find the big hotels, including hipster stalwarts like the Ace and Hoxton, and the Alder Street Pod, which is the city’s biggest collection of food carts. Downtown is right next to the Pearl District, a former warehouse district that is best known for its chic shops and restaurants that line atmospheric cobblestone streets. 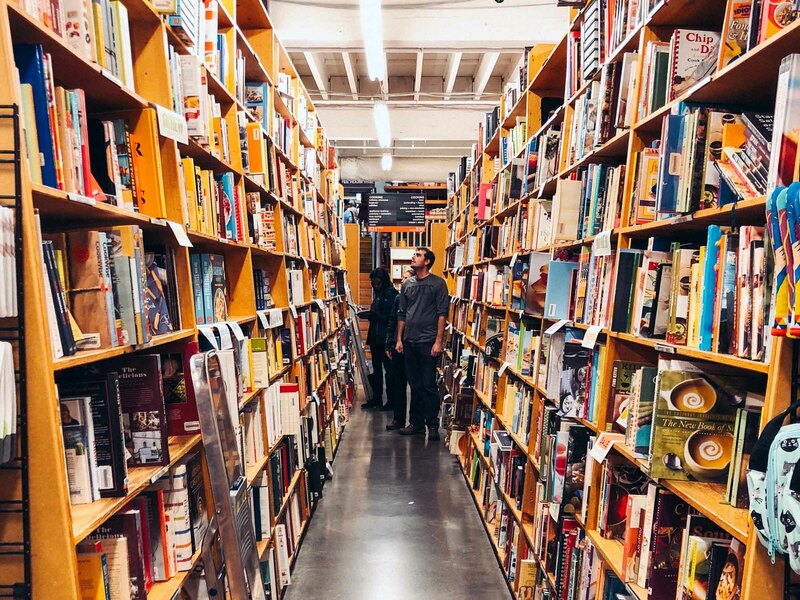 It’s also home to Powell’s City of Books, the world’s largest independent bookshop. Stay here to be ideally located for all the best places to visit in Portland. 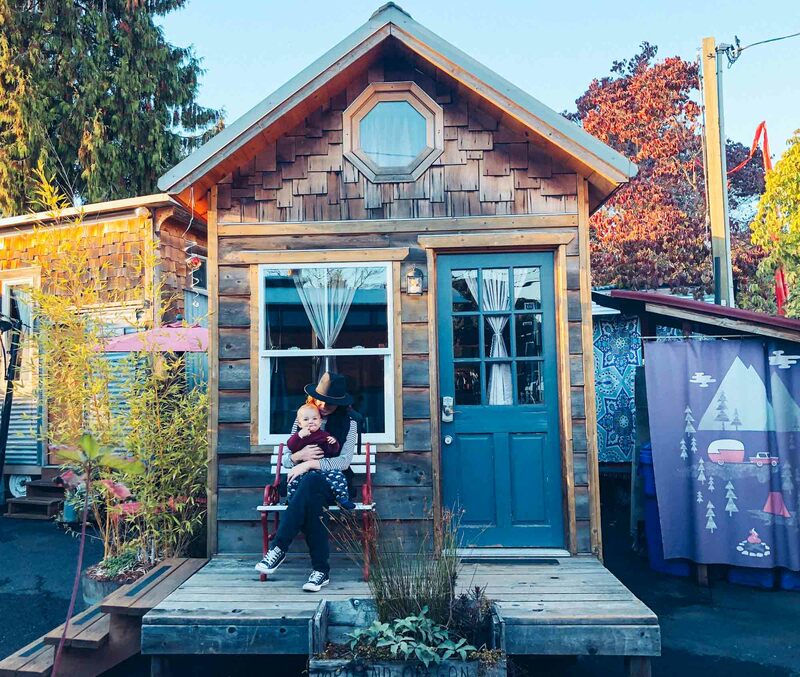 Caravan, the Tiny House Hotel, is a quintessential Portland experience where you can find out what it’s like to live in a custom-made tiny house on wheels. It’s an idea that was borne of the tiny house movement where people try to downsize and live in tiny houses, which make an economical and sustainable choice. Caravan has six charming tiny houses to choose from, built by local builders, and all with a distinct style and ingenious use of space. The houses have all the modern comforts you need, including flush toilets, hot showers, electric heat, a sitting area and kitchen. They’re centered around an atmospheric communal fire pit where you can spend the evenings roasting s’mores and getting to know your fellow guests. We stayed in Pacifica, which was surprisingly spacious with a mezzanine bedroom, undulating roofline and lots of colourful touches that nod to its name. Pacifica is wheelchair accessible, but you must give 48 hours notice for the ramp to be set up. Even if you don’t stay there, you Caravan is worth a visit and they offer regular guided tours. Portland is an example of a city that has integrated AirBnB really well and as such there’s a plethora of excellent options. You have to have a licence to use AirBnB in your home and all the hosts seem to have taken their role to the next level, offering above and beyond what one would expect, from handmade guidebooks to local produce in the fridge. We were completely spoiled for choice. In the end, we chose a retro-inspired apartment in Hawthorne, which was tastefully decorated and had plenty of room for the three of us. It was also perfectly located for exploring both Hawthorne and Division – we were just steps away from what became one of our favourite food trucks (Fried Egg, I’m in Love). 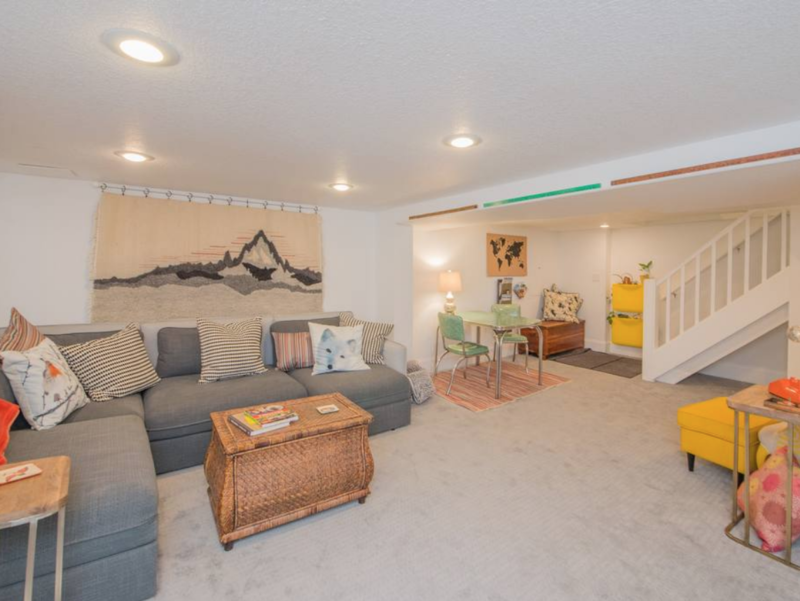 The apartment was on the lower-ground floor of a family home, which is the case for many AirBnBs in the area, but despite being mostly below ground, it didn’t feel dingy and had good natural light. Book your stay there now. There are lots of trendy hotel options in the downtown area, which would be a convenient place to stay for a short trip to the city. Some of the best options are: the uber-trendy Ace Hotel; the new Hoxton Hotel (one of my favourite hotel brands); and the Hi-Lo, part of the design-conscious Autograph Collection. Book with this link to get £20 off your first booking. 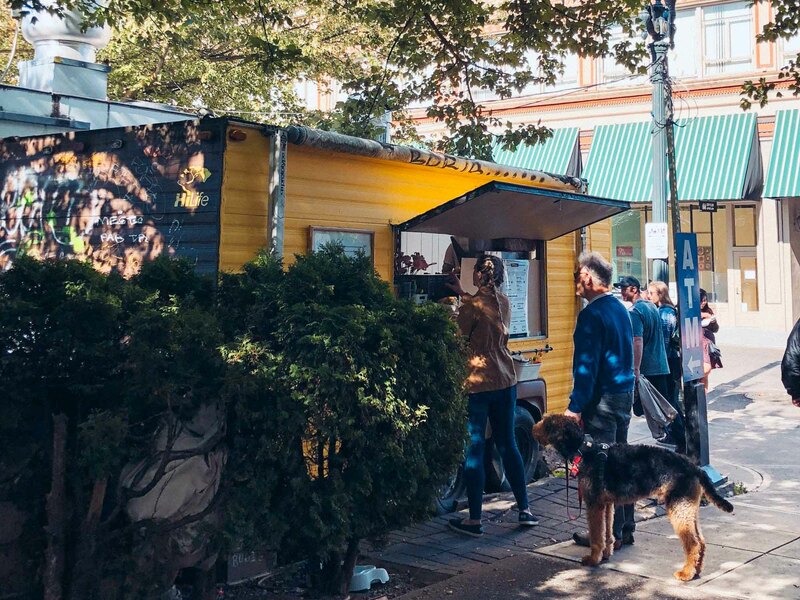 Sampling Portland’s cuisine should be high on anyone’s list of priorities for the city – it’s become a well-known foodie destination, best known for its high-end food carts, many of which have given rise to some of the city’s best restaurants. There’s a dizzying amount of places to choose from, so much so that we often went to two places for one meal, sharing a dish from each! 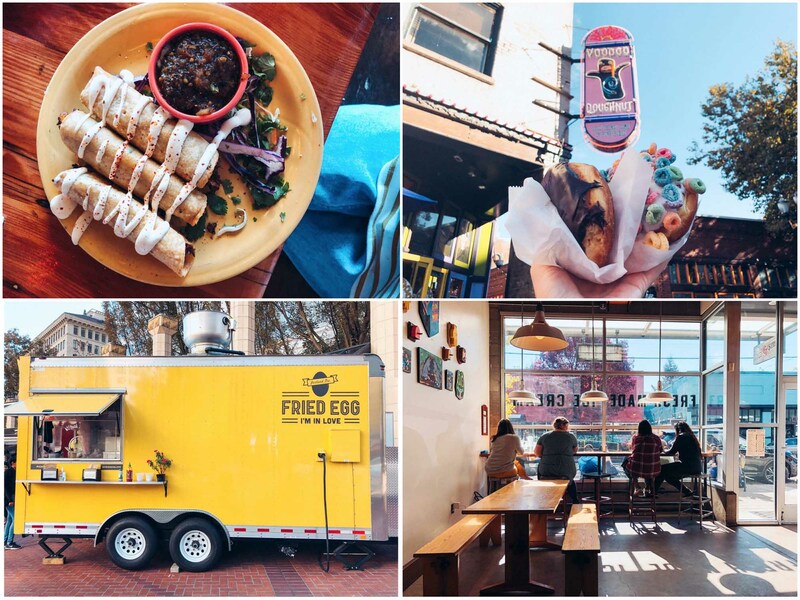 I’ve written a dedicated post with all our favourite places to eat in Portland. As we’re vegetarian, it’s a guide to the best vegetarian-friendly restaurants in Portland, but would suit meat-eaters too. Powell’s City of Books is the world’s biggest independent bookstore, occupying a whole city block and including nine colour-coded rooms with over 3,500 different sections. It’s crack for book lovers and you could easily spend a whole day there. It’ definitely one of the top things to do in Portland. 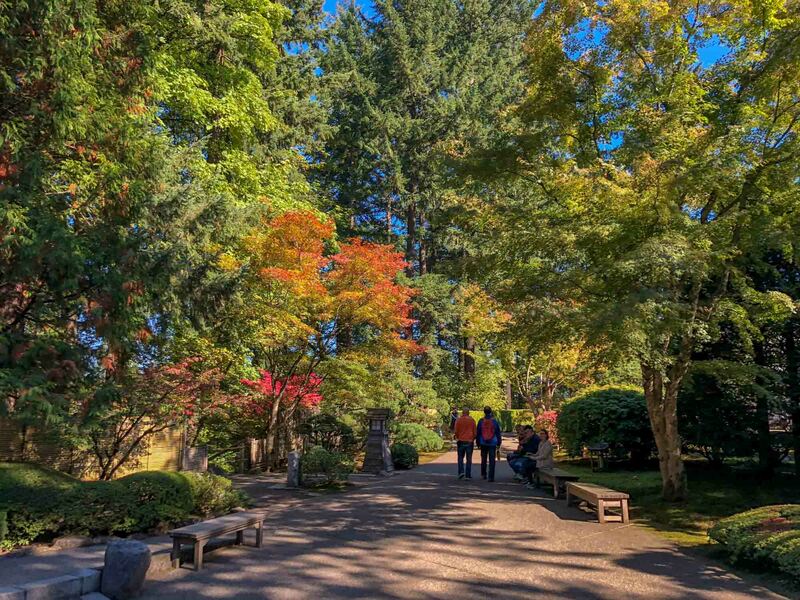 One of the most beautiful spots in the city is the acclaimed 12-acre Portland Japanese Garden, which features five different garden styles and is considered one of the most authentic Japanese gardens outside of Japan. Set on a hill overlooking the city, the garden’s view of Mount Hood is fantastic. 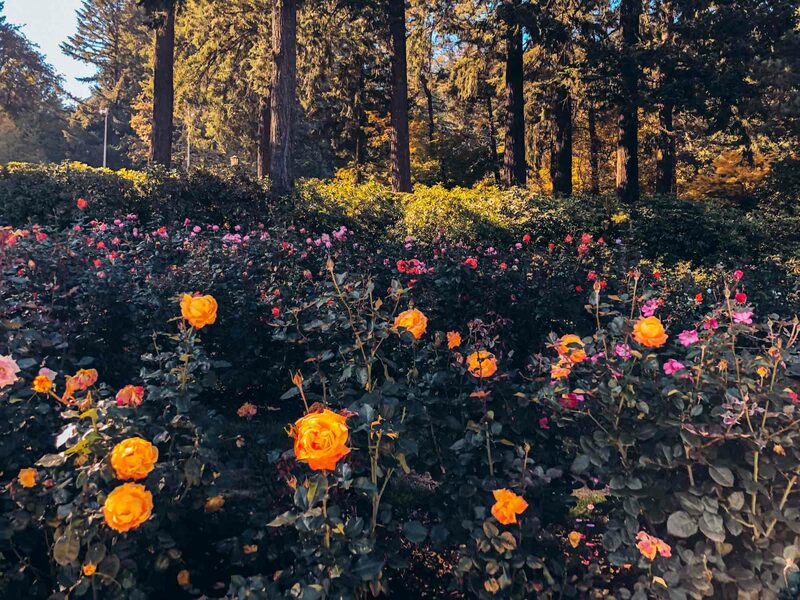 Just next to the Japanese Garden is Portland’s International Rose Test Garden, featuring over 10,000 different rose bushes. Like the Japanese Garden, it has gorgeous views across the city. Both are in the city’s attractive Washington Park. 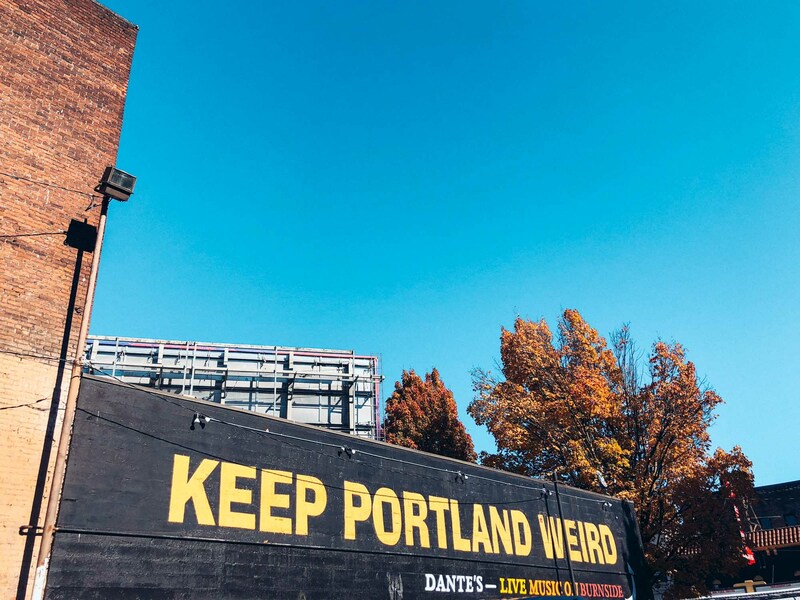 For a good photo opportunity, visit the Keep Portland Weird mural. It’s across the road from Voodoo Doughnuts and behind Dante’s club. The address is 350 W Burnside St, Portland, OR 97209. Another good photo opportunity is the iconic Portland stag sign, which you can see on top of the White Stag building at 70 NW Couch Street. It’s right next to the Saturday Market. 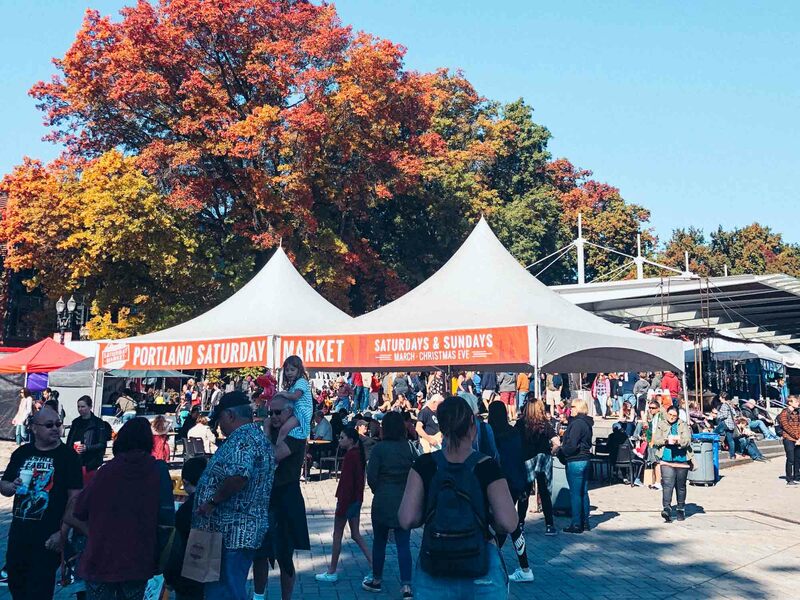 The bustling Saturday Market in downtown Portland is a fun way to spend the morning, trying different food stalls and shopping the local handcrafted goods. There are over 250 different stalls. 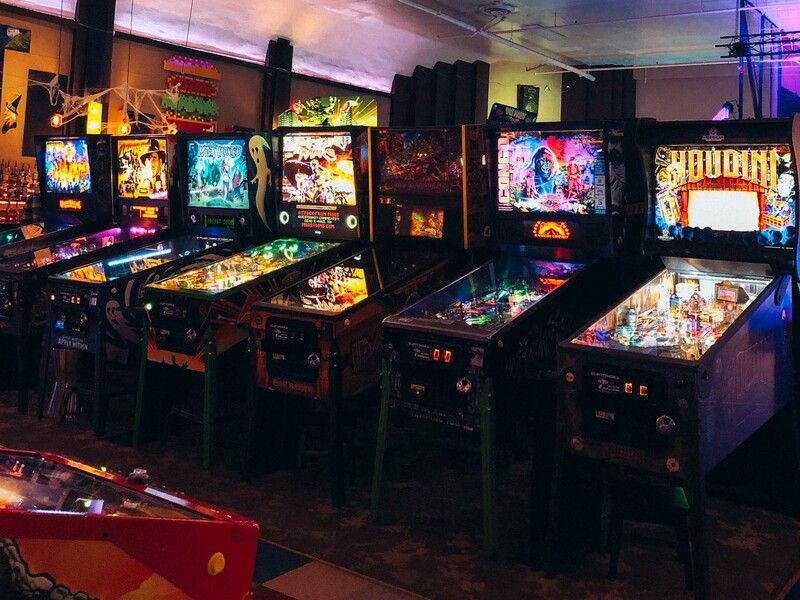 For a classic Portland experience, try one of the vintage video game arcades, featuring old-school classics and pinball machines. Ground Kontrol is in downtown Portland and Quarter World Arcade is on SE Hawthorne. For a bit of rest and relaxation, pay a visit to the co-operative-run Common Ground Spa where you can soak in a salt pool and enjoy a dry cedar wood sauna. They also offer a range of different treatments, including massages and acupuncture. Columbia River Gorge is a designated National Scenic Area just 40 minutes from downtown Portland. There are plenty of hikes to be enjoyed, including scenic waterfalls and mountain bike trails. 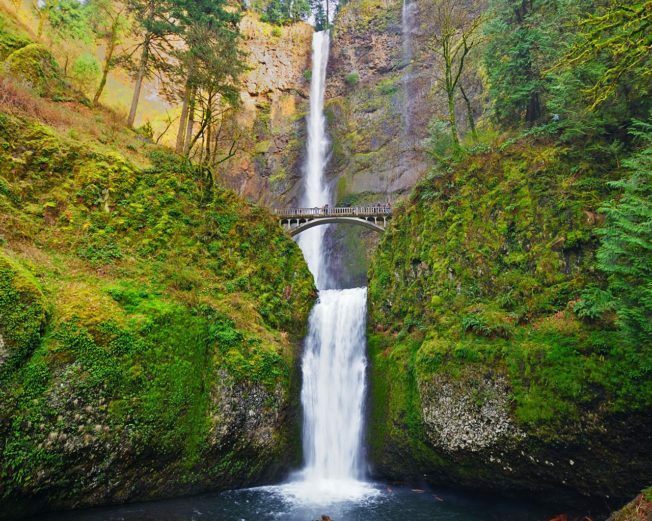 One of the most popular sights is the Multnomah waterfall, which can be seen from the roadside. However, the parking can be very difficult, especially at weekends. Cannon Beach and Seaside are two popular beach towns just 90 minutes from the city. Seaside is particularly popular with families and Cannon Beach is stunning with a rugged coastline and plenty of hiking trails. Portland has some great shopping, especially of the vintage, retro and independent variety. I found the best place to browse was along SE Hawthorne Boulevard, which had loads of options, incluidng some huge vintage emporiums. Enjoyed this post? Share it on Pinterest. If you decide to hire a car, book with Rentalcars.com. They always have the best deals. A good way to extend your trip to Portland would be to take an overnight trip to Bend. Here’s a local’s guide to the best hotels in Bend. Or alternatively, head to Crater Lake. Here’s a guide to some of the best Crater Lake activities. Note: Our accommodation in Portland was part-sponsored by Travel Portland and AirBnB. As always, all opinion are my own. Read more about how we work with brands and accommodations here.